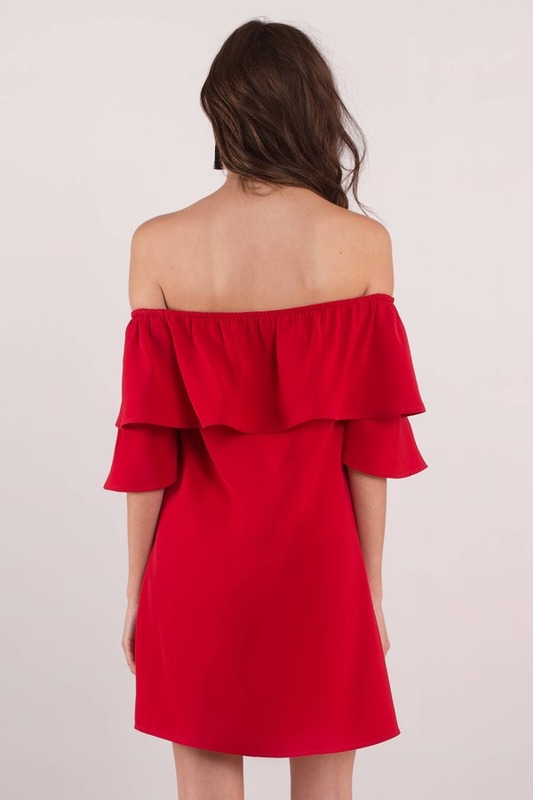 Check out Tobi's Show Off Shoulder Dress Let the ruffles do all the talkin', and you do all the dancin'. The Black Show Off Shoulder Dress is a flirty relaxed dress with a floaty overlayer at the bardot neckline and short flutter sleeves. Add heels to this ruffle mini dress and flirt the night away. Let the ruffles do all the talkin', and you do all the dancin'. 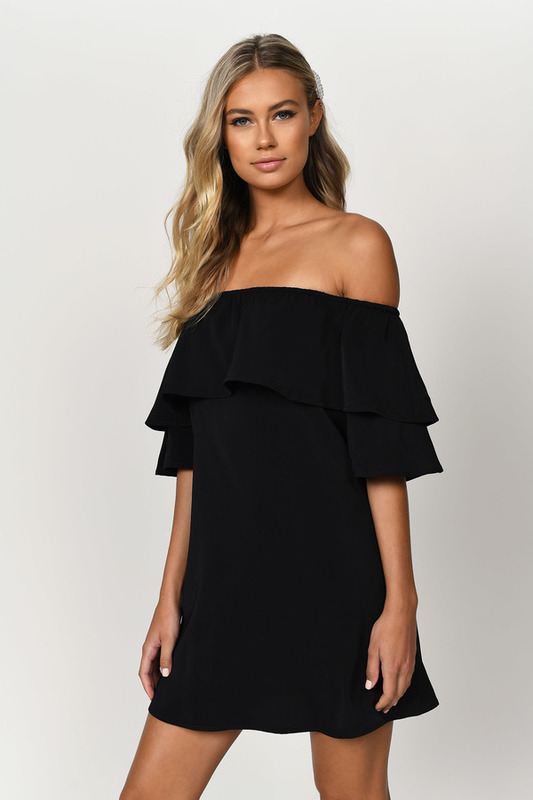 The Black Show Off Shoulder Dress is a flirty relaxed dress with a floaty overlayer at the bardot neckline and short flutter sleeves. Add heels to this ruffle mini dress and flirt the night away. Let the ruffles do all the talkin', and you do all the dancin'. 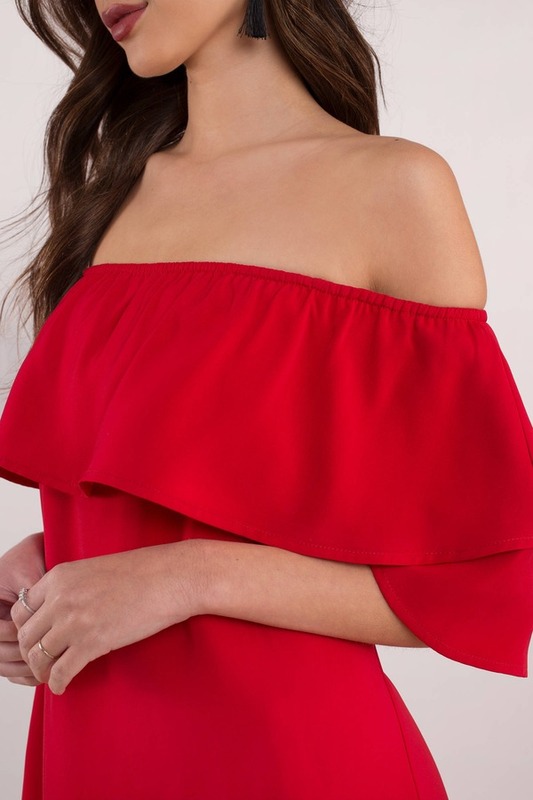 The Red Show Off Shoulder Dress is a flirty relaxed dress with a floaty overlayer at the bardot neckline and short flutter sleeves. Add heels to this ruffle mini dress and flirt the night away. Let the ruffles do all the talkin', and you do all the dancin'. 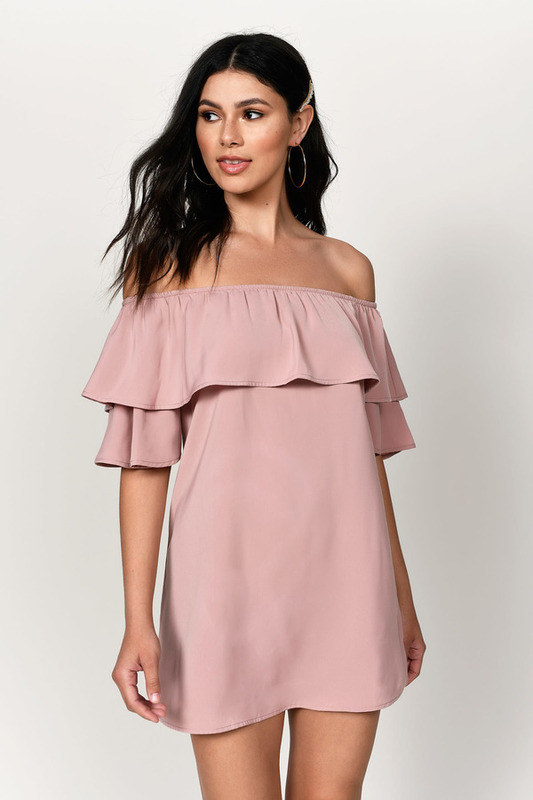 The Rose Show Off Shoulder Dress is a flirty relaxed dress with a floaty overlayer at the bardot neckline and short flutter sleeves. Add heels to this ruffle mini dress and flirt the night away.